When doing it right means doing it yourself, choose the brand that's trusted by the pros. The FISHER® HS compact snowplow is a full-featured snowplow that's easy to attach and easy to operate, so you can clear your property how you want and when you want from the comfort of your own vehicle. 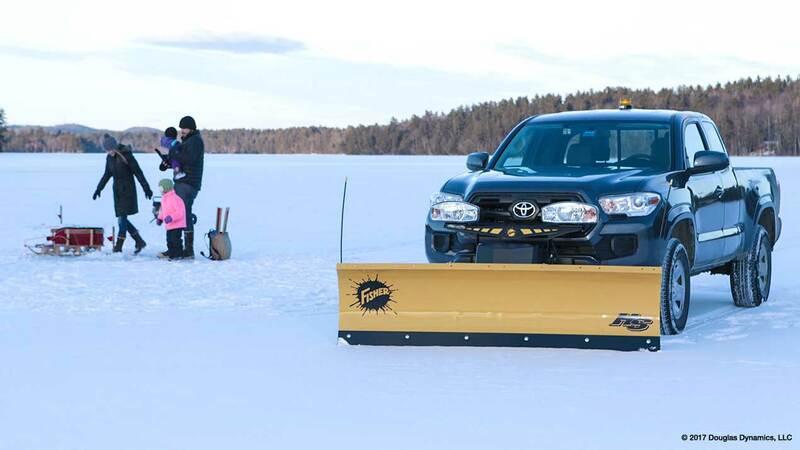 Designed specifically for mid-size pickup trucks and SUVs, the FISHER HS compact plow will have you rigged and ready for whatever winter throws your way. The 23½" tall, reliable, 16-gauge, powder coated steel moldboard comes in 6' 8" and 7' 2" widths for rugged snow plowing performance. 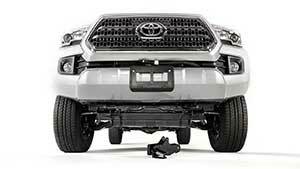 In other words, you get the brawn of a big plow—and yet it’s light enough for your mid-size truck or SUV. A standard high-carbon steel cutting edge provides increased wear resistance. Six vertical ribs deliver exceptional torsional strength to eliminate blade twisting. 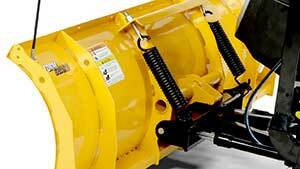 A formed base channel provides extra support along the bottom of the plow blade. The 1" diameter pivot bushing secures the plow in place, ensuring proper alignment and reducing stress on the overall plow assembly. We produce our own hydraulic system to ensure the highest standards of performance, quality and reliability, giving you a plow that is fast, responsive and built to last. All critical hydraulic components are fully enclosed for protection from the elements. 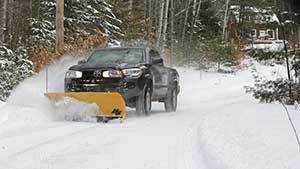 The HS compact snow plow features full blade trip. This design incorporates two trip springs, allowing the blade to trip forward when encountering hidden obstacles, protecting your snow plow and vehicle from jarring damage. 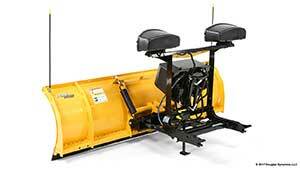 When the plow is not in use, quickly maximize vehicle ground clearance with the removable receiver brackets. No tools required.